A few days ago Stanczyk put forth his framework for discussing Polish genealogy, by enumerating the various eras of the many territories that had ever come under the aegis of a Polish nation of some kind of government. This blog tends to a focus upon “Polish” genealogy … in the greater ecumenical, greater geographic and greater ethnicity sense. As I said, when you start upon Polish genealogy, “they” always say you need to learn about the three partitions of Poland. “They” mean the partitions imposed by the neighboring empires: Prussia, Austria, and Russia in the years, 1772, 1793, and 1795. Over the years the phrase, “The Fourth Partition” has come to mean any annexation/occupation of Polish territories by outside nations. The years are long and getting longer still day by day. So the Fourth Partition can now be used to mean any of a good many events in history. But today I wanted to speak about Napoleon. I have written with some fondness on the little, French, coffee drinking Emperor. What I most liked about him (besides the coffee drinking) was the suffrage and enfranchisement that he was able to bring about AND the fact that Codex Napoleon specified in detail how vital records were to be recorded and all of us genealogists benefited from his wisdom. The Emperor had held out the hope of restoring the Polish condition, but alas, he used Poland as his pawn for his own ambitions, so Poland would languish for more than a century longer after Napoleon was ultimately defeated. However, whilst Napoleon was having his madcap adventure upon the European continent, he inadvertently, partitioned “Poland” a fourth time. As a result of Napoleon’s early military victories, he was able to wrest wide swaths of Polish lands and fashion out a French protectorate, he named, The Duchy of Warsaw (notice he did not call it Poland). He carved this duchy out of territories on which the three Empires: Prussia, Austria, and Russia had previously partitioned three times already. 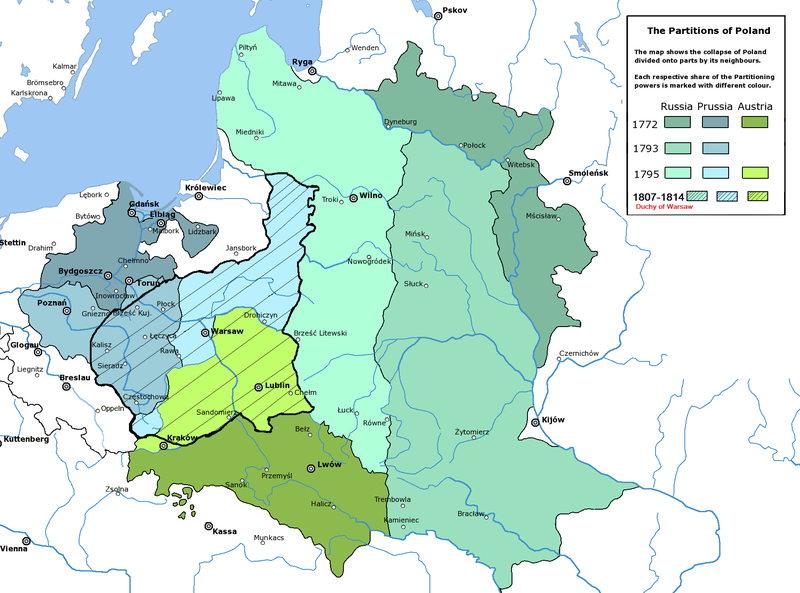 So in effect, Napoleon manifested a Fourth Partition that lasted for the years 1807-1815, until the treaty of the Congress of Vienna in 1815 which broke the Duchy of Warsaw up into the Cracovian Republic and Congess Kingdom of Poland (under the hegemony of the Russian Empire). The CracovianRepublic was an independent city-state and included Krakow and some lands surrounding Krakow and this land was not returned to the Austrian Partition, called Galicia until it was folded into Austrian-Poland’s Galicia Crownland in 1846 after much upheaval in the 31 years of the CracowRepublic’s lifetime. Stanczyk had never seen a map showing the original three partitions and then juxtaposing the Duchy of Warsaw (less the CracowRepublic) upon those areas. So I took an existing map and created a new map to see what it must have looked like. So today’s blog is about the Fourth Partition (by Napoleon) and the resulting map. 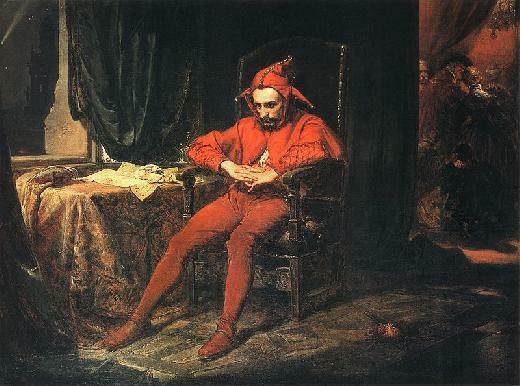 This jester would like to mention that the 8 years of the Duchy of Warsaw existence had negated the three Empires’ resolution to never have Poland reappear. Of course, after World War I Poland (2nd Republic) did reappear (and after World War II and in 1989 after throwing off the yoke of the Soviet Union, giving rise to the 3rd Republic). Enjoy the map!